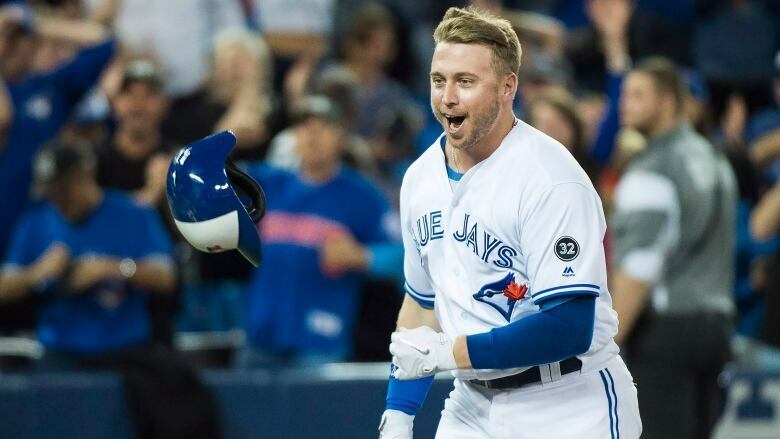 The Toronto Blue Jays have exercised their $8-million US club option on first baseman Justin Smoak and have declined the $5.5-million club option on infielder Yangervis Solarte. The Blue Jays announced the moves Wednesday evening on Twitter. ROSTER UPDATE:<br><br>We've exercised our 2019 club option on 1B Justin Smoak and declined our 2019 club option on INF Yangervis Solarte.<br><br>Solarte will remain on the 40-man roster and is eligible for arbitration. Smoak had a breakout season in 2017, batting .270 with 38 home runs and 90 runs batted in. He remained productive in 2018 with a .242 average, 25 homers and 77 RBIs. Solarte batted .226 with 17 homers and 54 RBIs. The Jays say Solarte will remain on the 40-man roster and is eligible for arbitration.